Start your review of Cory Ostafichuk. I've been in the auto industry for 5 years and prior to that I took my business degree in the Netherlands, as I am part Dutch. Being able to experience the world in a long-term living situation was something I highly recommend! Now I am settled back in Edmonton with my fun-loving Pit/Husky mix puppy & enjoy getting out the lake to enjoy nature! Send a message to Cory Ostafichuk. Thank You! 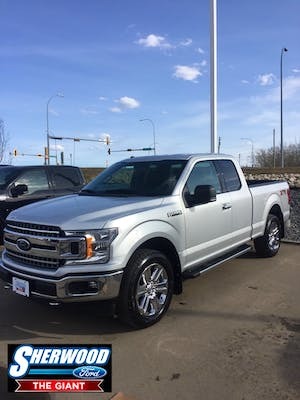 Your message has been sent to Cory Ostafichuk at Sherwood Ford. "First time buying at a dealership"
This was my first time buying a vehicle from a dealership, and it was a wonderful experience! Danny listened to what I was looking, and my budget. The minute a vehicle that matched my needs arrived at the dealership, he would get in touch with me right away so I wouldn’t miss out on some amazing opportunities. 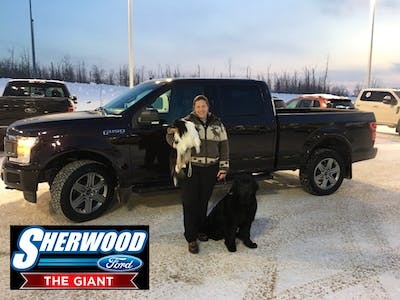 I did eventually find the perfect vehicle, and I am beyond grateful for the service and the help that I received from the staff at Sherwood Ford. Would highly recommend!! "I left very happy "
The salesman ESKINDER was very helpful and very nice. Knowledgeable of the F-150 series trucks. He let me test drive the truck on all variations including 4x4. He was also helpful with accessories. Other Employees Tagged: Esky Habtegebreal, Hanny Kabbani, Shane Hrehirchek , Cory was a great help as well in making me happy. There was a slight delay in having the truck ready but Cory eased my stress with complimentary accessory. Which made me feel like a valued customer. Superb customer service!!! I felt right at home, Family orientated atmosphere. Knowledgable staff. This is the second time for me dealing with Sherwood Ford and I will definatly be back again. "Salesman deserves stock in the company "
Jordan Dore’s charming personality really sealed the deal for me. I felt like I was talking to a real human being, instead of a greasy salesman who wanted to take my money. After looking at 9 different vehicles, Jordan was eager to show me more until I finally found the one. 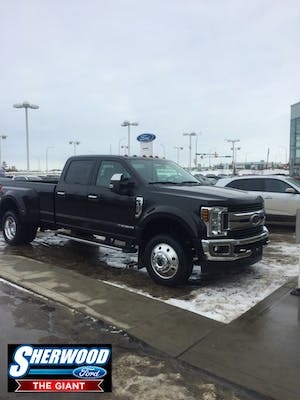 If you ever have the pleasure of dealing with Mr. Dore, I suggest you test drive all models you are interested in as he is very knowledgeable and understanding. Great experience. 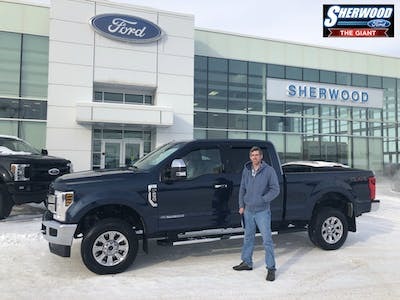 Esky and the team at Sherwood ford were very helpful and informative in purchasing my new f350. They made it very easy to purchase a vehicle being from out of town and only having 1 day to do so . "A big decision, made simple!" 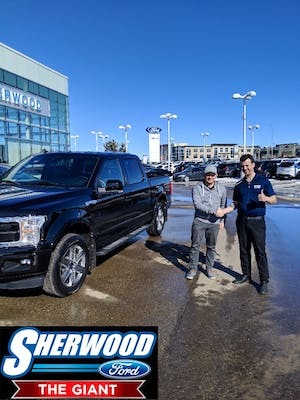 I came into Sherwood Ford with a broken car, Scott had me set up and on the road in less than 2 days with a beautiful SUV that I absolutely LOVE. No pressure, great atmosphere, and friendly staff all around! Will be coming back! 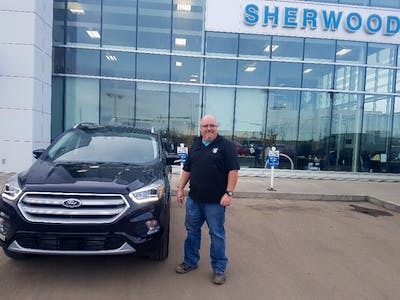 Jerry Alder was our salesman and he was direct and honest. He didn’t pressure us at all. There were some challenges to our sale and he was amazing at helping us out!!! We had to been to several dealerships before and I didn’t buy my vehicle there because of the poor service. I am so glad we met Jerry. 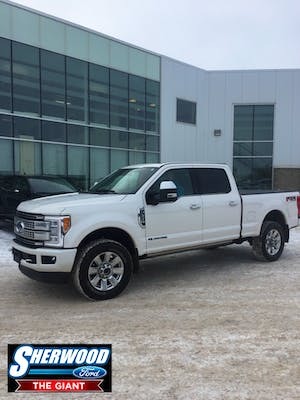 "Went smooth and fast "
Esky helped me buy my 2019 f450. I got the price I wanted and was in and out within the hour. I added some accessories to be installed and wanted to pick it up the next day. It was ready exactly when they said it would be and I was outa there. Great buying experience. Not pushy, not annoying. I will be back.